Prior to joining IPA, Katrina worked in the healthcare field where she developed, implemented, and created employer wellness programs. 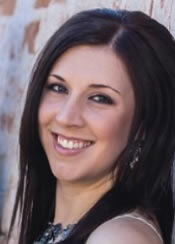 Katrina was interested in the insurance field, as her husband is also an agent, so she decided to get her P&C license. Katrina is very excited to be able to represent multiple carriers that work with IPA so that she can provide excellent customer service and products for her clients. Katrina was born in Bayonne, NJ, but has lived most of her life in Arizona. In her free time she loves to go hiking and camping with her husband and three rescue dogs. Katrina can be reached by email at Katrina@insuranceproaz.com or by phone at 602-206-4550.